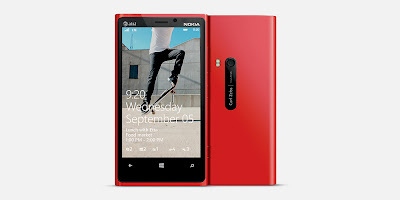 Despite the controversy incidents camera ads across multiple sites and Youtube, Finally Nokia launches its first smartphone that uses Windows 8. What about performance? As the successor to the series Lumia, Lumia 920 is built with a shape that does not change from the series Lumia 800 or 900 strong. With the glass surface tends uneven and plastic parts polikarbon in all other parts. 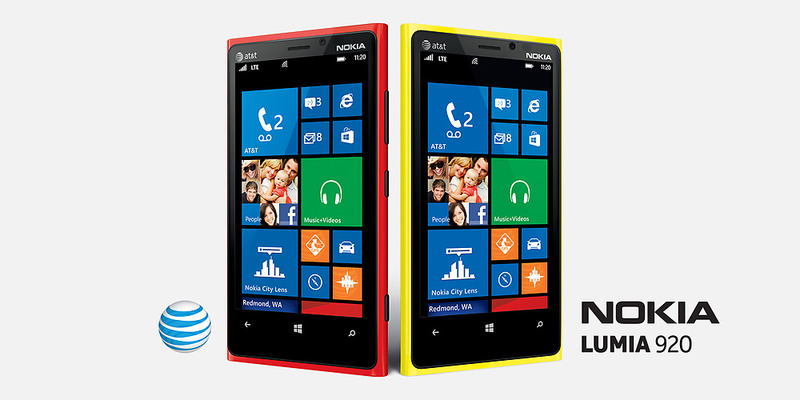 It's just bigger, because it brings the big screen in between lumia other and also the heaviest. Unlike the Lumia 900 that still feels flimsy when pressed hard, 920 deserved thumbs up because it's really solid. No wonder because the Nokia Lumia 920 uses material using ceramic materials in the entire body except the screen. but even so it does not mean the screen is not solid because on the screen is also coated with a layer of Gorilla Glass. Not only solid body is also quite heavy. This is evident when we compare it with the smart phone class, then 920 going head to head with the Samsung Galaxy S3 and http://littlebitjohnny.blogspot.com /2012/12/iphone-5-sixth-generation-smartphone.html" target="_blank">iPhone 5, which is the second product from Samsung and Apple is much lighter. Nokia put all the buttons mounted on the right side. Starting from the top consists of the volume buttons, key switch lock (lock screen) and the camera button. Nokia puts at the top of a 3.5 mm audio port along with a Micro SIM card slot. Meanwhile, at the bottom there is a microUSB port and speaker hole grid. Placing the camera lens on the back along with a flash light. You have finished reading Nokia Lumia 920 Using Windows 8 and many articles about Tech Gallery in our blog this, please read it. and url link of this article is https://littlebitjohnny.blogspot.com/2013/01/nokia-lumia-920-using-windows-8.html Hopefully discussion articles on provide more knowledge about the world of new tech gadgets.